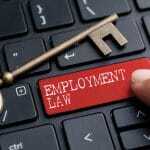 The UK Government has introduced some major changes to the existing employment law in the first half of 2018. Whilst public, private and voluntary sectors in England, Wales, and Scotland were asked to publish their data on the gender pay gap, we also bid farewell to the ‘Fit for Work’ Assessment. 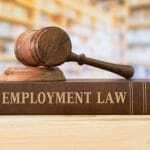 Not only this, the Government also has plans to implement several other important changes relating to current legislation on discrimination and unfair dismissal by 2019. 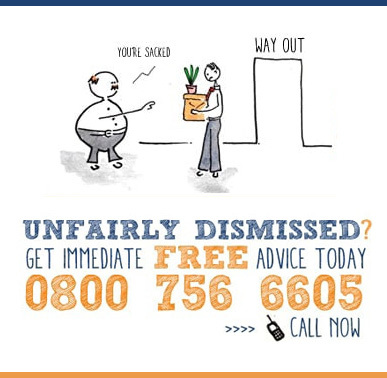 Here we summarise the latest changes in employment law for 2018-2019. Introduced on 6 Apr 2018, the change will help the government ‘clarify and tighten’ the tax structure for the treatment of termination payments. Herein, the government proposes to treat all payments in lieu of notice (PILONs) as earnings, which will be subject to tax and class 1 NICs. 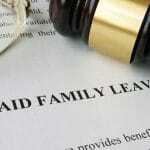 Subsequently, if the notice is not worked, employers will have to submit an amount equivalent to the employee’s basic pay as tax. Additionally, all termination payments that are above the threshold of £30,000, will be subject to class 1A NICs (employer liability only). The taxation of termination payments equal to £30,000 and above, will be implemented under the National Insurance Contributions Bill published in 2018. HM Treasury will also be permitted to vary the £30,000 threshold by regulations after this change is in effect. Requiring organisations to submit reports on any data breaches, which ‘risk the rights and freedoms of the individual’ to a relevant regulatory authority. Any breach of the GDPR would result in fines up to 20 million Euros or 4 percent of the organisation’s global turnover, whichever is the greater. Having said this, the enforcement of the new regulations will rest with the Information Commissioner’s Office (ICO) in the UK. implement the EU’s law enforcement directive, which aims to prevent, detect and prosecute criminal offences. Under the initiative taken by the Department for Business, Energy, and Industrial Strategy, draft legislation, requiring all listed organisations to reveal the pay difference between an average worker and their CEO will be published before the 2018 summer recess of Parliament. new measures on ‘employee voice’ in boardrooms. Overall, these reforms focus on improving the “transparency of big business to shareholders, employees and the public”, says Greg Clark, Business Secretary to the Government. Due to delays, the government’s plan to scrap its workplace childcare voucher system did not close by 5 April 2018. Instead, the ruling was extended by six months after a vote in Parliament. The abolition of the voucher system is one of the most significant changes that would be a part of the rollout of universal credit. Subsequently, the new system will help ensure tax-free childcare for deserving families and also entitle them to be able to make claims up to £2,000 per child. They have exhausted all appeal rights against that penalty. One of the most talked-about events of 2017, Brexit might finally come into effect from 29 March 2019. It began when Theresa May served notice of the UK’s intention to quit by 29 March 2017, thus triggering the process for leaving the EU under Article 50 of the Lisbon Treaty. The Treaty sets a 2-year timeframe so that the EU and a member state may hold negotiations to extend the period of that state’s departure, as soon as the Article 50 date triggers. Also, during December 2017, the Prime Minister attempted to enshrine 29 March 2019 as the date for the United Kingdom’s official exit from the EU. However, this initiative was refuted by a vote in the Parliament. Thereafter, there have been talks of a possible transitional period that will last several years following the official Brexit date. During this time different arrangements may come into existence before a permanent relationship agreement is developed between the EU and the UK. 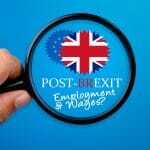 How has Brexit impacted the employment law?